First really working and affordable solution! Works on all helis: electric / IC / turbine! NB! Check it "Out of the box" Ace One! NB! Replace your XP3.1 with new AceOne! CopterCam OY is partner and distributor for world-leading developer and manufacturer in UAV helicopter autopilot systems- , Dajiang Innovation Technology Co., Ltd (DJI). We are providing fast delivery of all DJI products, quick responses, integration and full support to all our clients. Order now! and best prices are quaranteed! Buy AceOne Autopilot now and you will get FREE worldwide shipping! Order will be shipped out within 24 hours, tracked and secured. WOOKONG MULTI-ROTOR Wookong Multi-Rotor (Wookong-M) stabilization controller is complete flight system for all multi-rotor platforms for commercial and industrial AP applications. Unlike others, WooKong allows the use of regular ESC commonly used in RC helicopter without any wiring modification; Heli mode setup providing a seamless transition for current Ace One AP professionals. WK-M utilizes high quality components precisely calibrated with temperature compensation in all gyros and sensors, industry renounce flight algorithm in autopilot and UAV. 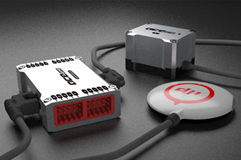 IMU damping system is rated for gas engine best in the class. Attitude mode maintains precise altitude hold for indoor flight while GPS mode provides superb position hold outdoor. External LED flight mode indicator light can easily be observed by pilots under any condition. WK-M can be flown in one single full auto (GPS-Atti) mode from take-off to landing; or in Atti mode while manual mode has stabilization activated. The system is easy to install with user friendly software allowing on-line firmware and software upgrade. ACE WAYPOINT DJI Ace Waypoint is based on DJI 4th generation autopilot system in total autonomous flight with Ground Control System (GCS) which easily sets, edits and confirms flight waypoints for the mission utilizing 3D map in real time in flight feedback. It is designed for high-end commercial/industrial type RC helicopters targeted at Beyond View Range (BVR) in aerial photography (AP), exploration, land survey, geographic mapping, first aid deployment, agriculture, electrical power line inspection and other monitory missions. Ace Waypoint ensures stability and safety of flight while allowing pilot to pay attention to mission objectives using GCS system. It works on all kinds of helicopter from Bi-blade to Multi--blade rotorcrafts; with or without flybar; various swash plates and rotor heads; electric or gasoline powered engines. 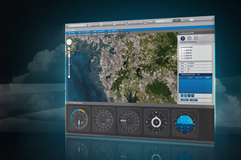 ACEONE VIEW AceOne View enables Ace One the ability to view conditions during flight similar to Ace Waypoint without waypoint assignments and other waypoint functions such as auto take off and landing. "Ace One View" is suitable for short distance (within radio range and visual contact) and high altitude AP work at half the price of Ace Waypoint. 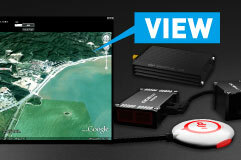 Ace One View comes with ready to install data link (ground reception and helicopter on-board transmitter). Pilot and ground crews will be able to see the helicopter orientation, heading, altitude, pitch, roll and path tracking in real-time mode on screen. 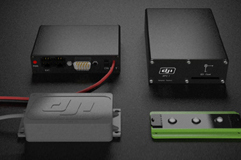 ACEONE ACE ONE is the latest generation of DJI's GPS/INS based helicopter autopilot system that combines the highest level of precise measurements and environment-independent rate of INS updates. ACE ONE's exceptional performance enables it for applications from commercial use, such as industrial aerial photography, to high-end military operations. It works on all kinds of helicopters. Bi-blade or tri-blade rotorcraft; with or without flybar; all kinds of swash plates and rotor heads; electric or gasoline powered engines. All types can install ACE ONE quickly and easily. XP3.1 STANDARD DJI XP3.1 Autopilot is the first automatic control and navigation system for UAV helicopters. 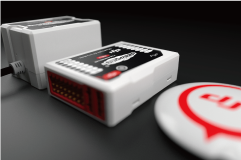 Using GPS, 6-DOF IMU, magnetometers and barometers, it is a GPS/INS product specially designed for industrial users. By integrating high precision GPS module and environment-independent high-rate IMU, it enables accurate and reliable control of the aerial platform at any altitudes, most weather conditions and even under the circumstance when GPS signal is lost. XP3.1 Autopilot provides precise fixed position hovering (horizontal ±2m; vertical ±1m), and fixed velocity navigation at any altitude, which is a performance that cannot be achieved using any current infra-red/CCD based stabilizers. 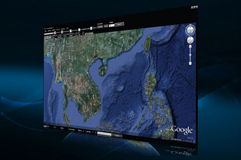 XP3.1 WAYPOINT DJI XP3.1 WayPoint is the DJI flight control system with Ground Station software that enables 3-D map way points editing, flight path planning and real-time flight attitude feedback. This product is specially designed for the purpose of advanced Unmanned-Helicopter operation, BVR (Beyond Visual Range) flying and applications such as surveillance, aerial photography, etc. Based on the existing XP3.1 Autopilot, XP3.1 WayPoint not only ensures stable performance and safety of the helicopter, easy operation for the pilot, but also allows the helicopter to fly automatically according to the flight path set before or modified during the flying process in the Ground Station software.